The week started with my mother-in-law coming to visit on Sunday. She’s such a beautiful and happy person, and we have so much fun together. She feels more like a sister. Also, my husband’s sister’s family is here because of my brother-in-law having a conference this week. My in-laws are from the interior, and I love getting together with them. Maybe because we have known each other for over a decade, but they feel more like family than some in my own family. I also got to have a couple great chats with my sister in Chicago recently–I do miss my own people all the time. 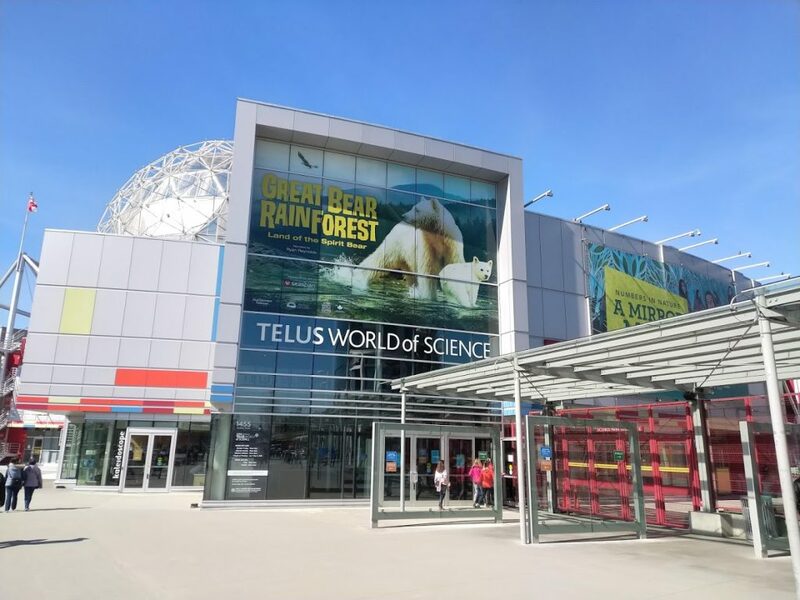 We all went to Science World on Sunday and saw the Omnimax film “Great Bear Rainforest”, a beautiful and stunning and moving documentary narrated by Ryan Reynolds. People, if this film is offered in your neck of the woods, I highly recommend it. You’ll see seals, grizzly and black bears (including the rare Spirit Bear, a black bear with a recessive gene causing a cream-colored coat of fur), salmon wolves, whales, salmon, 1,000-year-old trees, Indigenous communities protecting their place, and so much more. I realized I really do live in the most awesome place in the world. It just takes getting outside Vancouver to really notice. I mentioned a few posts ago that I was writing something on my memories of Appalachia. Here it is, up at ClimateCultures.net. I have to hand it to Mark Goldthorpe for gathering such a diverse group of writers and presenting material so well. I really enjoyed writing this piece in their newest series, “Gifts of Vision and Sound,” where I talked about my own roots in the Kentucky Hills, my memories there, the loss of people and landscape since my younger years, the harmful fossil fuel resource gathering in the area, and the band “Rising Appalachia,” who sort of brought all my roots back, in song and story and acts of resilience/resistance. I am writing on a break at work at the moment, but have three days off this week, including tomorrow and Friday, and it has been a warm, sunny week so far with a near full moon at night–perfect. I had Monday off as well and we went to Rocky Point Park in Port Moody (see the featured image) and hiked around. It’s amazing that flowers had started blooming before a 3-week cold snap, where we had lots of snowfall warnings, but this week is has become spring. Also, did I mention that my favorite brewery is in Port Moody? Yellow Dog is right across from the park, so of course I took a detour over there to get a pint of my favorite porter, Shake A Paw. Tomorrow we’ll commute down to Vancouver and take the seabus over to North Van. And Friday we’re heading to Stanley Park. This is the best week ever. On the professional front, I am looking forward to a reading with several authors I adore, over at the only used bookstore in the Tri-Cities area. This will happen during Earth Day weekend. And, I am writing an abstract submission for a big event later this year. I’m not sure if anything will come of it, but it’s kind of a relief to have applied for the funding and to be almost done with the proposal. More on that later. Now it is time to go on a hike and get some more of that sunshine, celebrating the spring solstice outside.